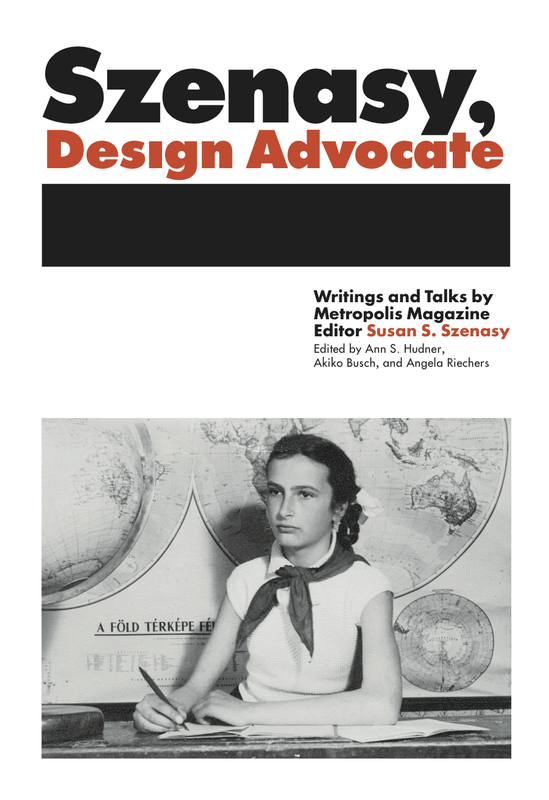 Szenasy, appointed Publisher of Metropolis, engaged in a series of national conversations during the spring of 2014 exploring issues of design advocacy and ethics while celebrating the release of Szenasy, Design Advocate – a collection of writings and talks from the past 30 years. Szenasy participated in a conversation with UO School of Architecture and Allied Arts Dean Frances Bronet, in Portland on May 22, 2014 at the University of Oregon in Portland. The event was live broadcast to an audience at the UO campus in Eugene (177 Lawrence Hall). Szenasy was available for book signing after the talk. Key phrases and ideas from the conversation between Szenasy and Bronet were live tweeted by @johnhenrytweets. The webcast of the presentation is available online. At work tweeting broadsides made in real time. @johnhenrytweets with @tschlapp at Metropolis LIVE! With Susan Szenasy. The following is the press release issued by Metropolis magazine to announce Szenasy’s new post and her book launch. This April 2014, Metropolis magazine announced the appointment of Susan S. Szenasy as publisher of the magazine, sharing a dual role with her long-standing position as editor-in-chief. The appointment, made by the founder, Horace Havemeyer III, one month prior to his passing from complications associated with CIDP, a chronic neurological disorder, sets in motion a new chapter in the life of this celebrated magazine of architecture, culture and design. Concurrent to this appointment is the release of Szenasy, Design Advocate, a collection of writings and talks from the past 30 years, released by Metropolis Books and distributed by ARTBOOK | D.A.P. This volume – the first published collection of Szenasy’s writings – brings together editorials, reviews, stories, profiles, industry event presentations, classroom lectures, commencement addresses and more. Szenasy’s honest, thought-provoking and often-challenging opinions are present in all of these pieces. So, too, is her ongoing commitment to informed dialogue, which has influenced and guided generations of design professionals, architects, journalists, retailers, manufacturers, legislators, educators and the next generation of designers. Through this collection of writings, the organic development of a social activist is revealed. Szenasy’s capacity to anchor her inquisitive nature and her reflective reasoning in a foundational belief in human and civil right established her as a pioneer in the advocacy of sustainable design. In celebration of the launch of the book and her recent appointment, Szenasy has embarked on a series of national conversations exploring issues of design advocacy and ethics. From New York to Los Angeles, Boston to Grand Rapids, Atlanta to Chicago, Providence to Seattle and cities in between Szenasy will be engaging with members of the design community to gain a broad understanding of the issues and topics pertinent to the built environment and design in today’s culture. According to Szenasy, “Metropolis offers us the freedom to really explore design, culture, talent, people, creativity, materials, policy, everything. It really is a conversation. And when I am on the road engaging with the design community, I don’t give talks anymore. It’s a two-way conversation. 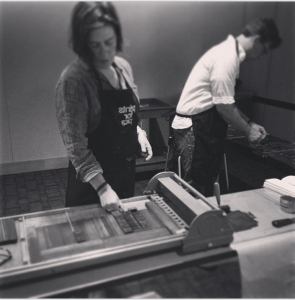 A dialogue.”Susan’s active involvement with all of the design community has become legendary. Her tough, but constructive criticism has created an indispensible dialogue in an industry that, like every other area of society, is redefining itself to meet the needs of growing populations in our tech-rich, environmentally compromised, global-local world. Metropolis, founded in 1981, Metropolis, the magazine of architecture, culture and design, has earned itself a reputation as a publication of distinction. It has led the conversation on sustainability, technology and accessibility as these issues relate to and reshape the built environment. Long considered a significant voice in the fields of architecture, interior design, graphic design, product design, urban planning and historic preservation, the magazine and its electronic content is recognized as being in the vanguard of the discourse of architecture and design to a dedicated following. 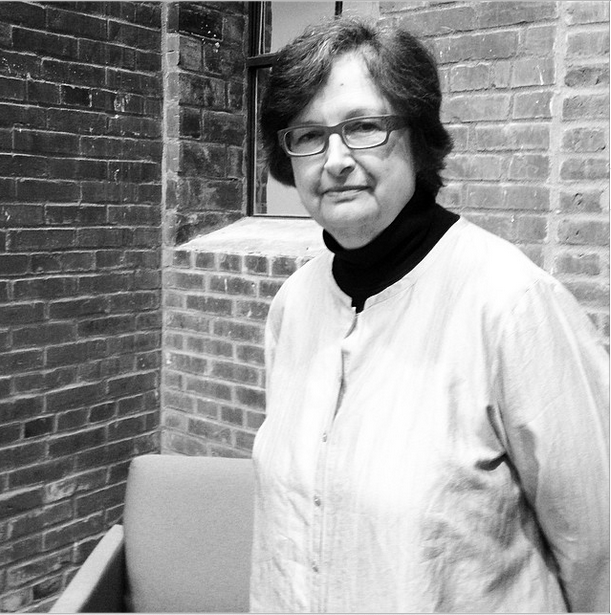 Susan S. Szenasy is publisher/editor in chief of Metropolis, the award-winning New York City–based magazine of architecture, design and culture. Since 1986, she has led the magazine in landmark design journalism, achieving international recognition. A respected authority on sustainability and design, she served two terms on the boards of the Council for Interior Design Accreditation and the Landscape Architecture Foundation, the FIT Interior Design board, and the NYC Center for Architecture Advisory Board. She has received two IIDA Presidential Commendations, is an honorary member of the ASLA and AIA NYC, and the 2008 recipient of the ASID Patron’s Prize and Presidential Commendation. Along with Metropolis magazine founding publisher Horace Havemeyer III, Szenasy received the 2007 Civitas August Heckscher Award for Community Service and Excellence. She holds an MA from Rutgers University and honorary doctorates from the Art Center College of Design, Kendall College of Art and Design, the New York School of Interior Design, and the Pacific Northwest College of Art.